Wash apples, peel, core and slice thin. 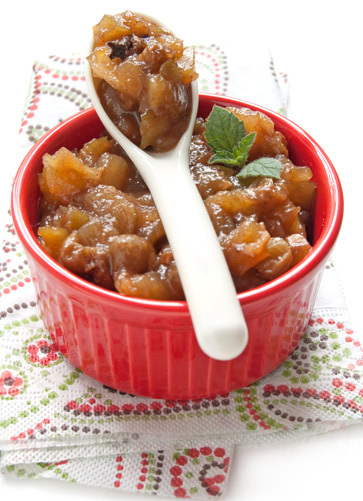 Immerse cut apples in a solution of ½ teaspoon ascorbic acid and 2 quarts of water to prevent browning. Combine vinegar, sugar, corn syrup, water, cloves, cinnamon and allspice; bring to a boil. Drain apples and add to syrup. Simmer 3 minutes, stirring occasionally. Remove cinnamon stick from syrup and place one piece in each jar. Pack hot apple slices into hot jars, leaving ½ inch headspace. Fill jars with boiling hot syrup, leaving ½ inch headspace, making sure apples are completely covered. Remove air bubbles and adjust headspace if needed. Wipe rims of jars with a dampened clean paper towel; adjust two-piece metal canning lids.